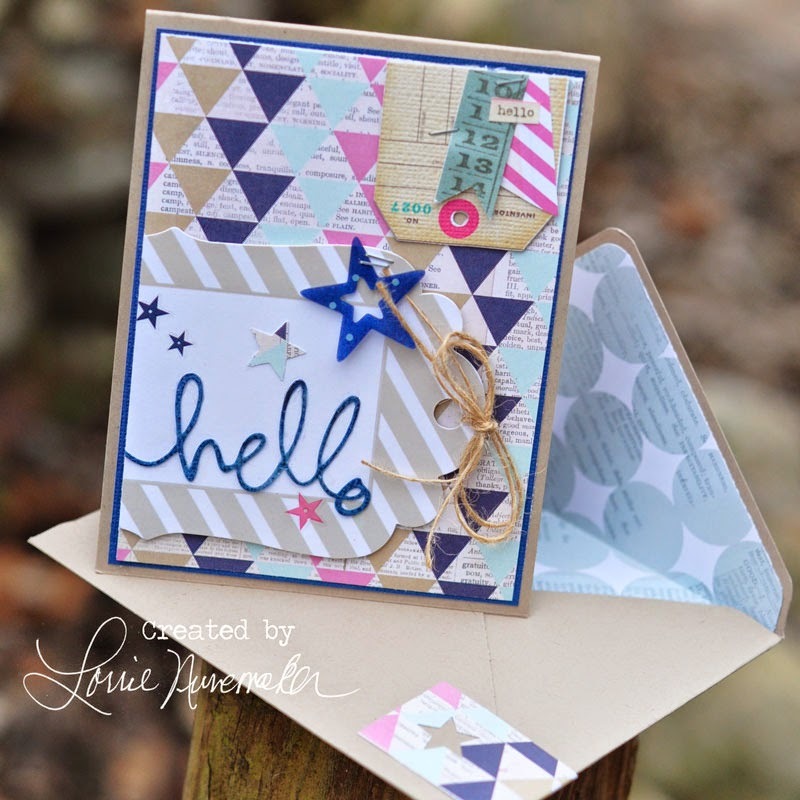 Lorrie's Story: Hello Today Collection by Heidi Swapp now at Michaels! 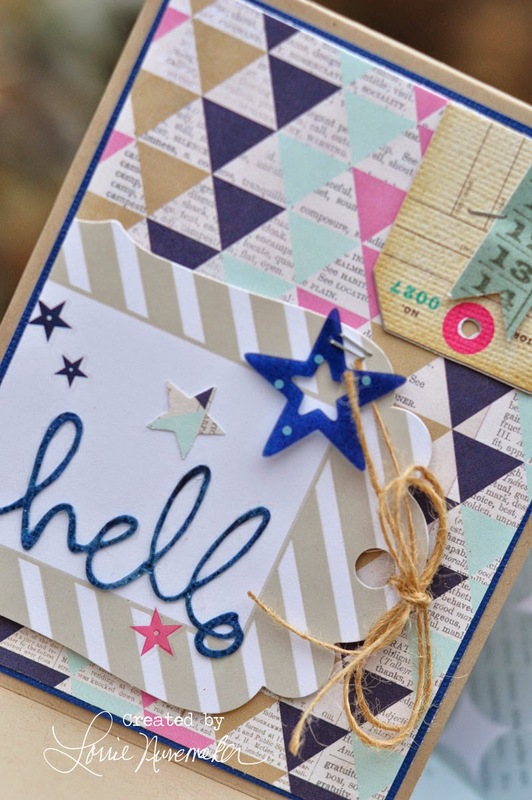 Hello Today Collection by Heidi Swapp now at Michaels! I was happy to find that my Michaels FINALLY go the new part of the Hello Today collection by Heidi Swapp, and even better... it was 50% off! What girl doesn't love a sale? I whipped up this card/envelope shortly after I got home with all of my goodies. This color scheme is out of my comfort zone, but I really love it and enjoyed playing with the navy/kraft combo. Why don't I ever think of mixing those. I wear navy and kacki a lot, I just never think about it in my crafts. I used a die cut (from my Silhouette) for the hello. I stamped the die cut with Versa Mark, then stamped it with Heidi's Navy inkpad, with a final coat of clear embossing powder. I love that the color is a perfect match to the pattern papers. Just a little note, the new Heidi Swapp products aren't out in the middle aisle at Michaels. They are right in the sticker aisle and there should be a whole Heidi Swapp shrine right in the middle of all the other stickers. I swear I heard angels singing when I spotted it. Thanks for stopping by.... as Heidi always says, it's time to "Make Pretty Stuff".